Subsequently, two distinguished figures in Israel’s national security community declared that, on balance, the agreement -- which freezes Iran’s production of highly enriched uranium in exchange for slight relief of sanctions but allows Iran to continue enrichment of uranium to lower levels and leaves the nuclear program infrastructure intact -- is on balance preferable to no agreement. This may suggest that the deal has also caused a rupture in Israel. Closer inspection of the words of the eminent men publicly dissenting from Netanyahu, however, reveals that the gap between them and the prime minister is smaller than it first seems. Yet as negotiations with Iran unfold, it may well turn out that the gap between Israel and the United States is as large as it initially appeared. The 10th annual Saban Forum, “Power Shifts: U.S.-Israel Relations in a Dynamic Middle East,” which over the weekend brought together prominent Israelis and Americans for candid discussions in Washington, made clear that Netanyahu spoke for many Israelis in denouncing the interim agreement. Critics in Israel contend that by allowing Iran to retain its basic enrichment infrastructure, the agreement betrays America’s commitment to prevent Tehran from acquiring nuclear weapons. Instead of rolling back the program, which according to estimates is three months away from being able to build a bomb, the agreement puts the program on pause. Critics further insist that the only way to make Iran, a brutally repressive regime and the world’s leading state sponsor of terror, abandon its determined pursuit of nuclear weapons is by steadily increasing pressure through sanctions, not by relaxing them when they are causing pain. They note that Iran has systematically lied about its nuclear program while evading legally binding Security Council resolutions that require it to cease all uranium enrichment. They maintain that by providing sanctions relief to Iran before it has complied with U.N. resolutions, the agreement changes the international climate in Iran’s favor. Easing the sanctions now opens the door to nations eager to work around the sanctions that remain in place in order to gain access to Iranian oil and markets, ultimately leading to the collapse of the sanctions regime. They also assert that the agreement reflects naïveté about regional interests and dynamics in general, and about the character and magnitude of the threat posed by Iran’s quest for hegemony from the Gulf to the Mediterranean in particular. They fear that the president’s dithering over Syria demonstrates that he is presiding over a collapse of international will and the dissolution of an American-led international order. And when told that Obama has repeatedly and consistently declared that his policy is to prevent Iran from acquiring nuclear weapons, that diplomacy must first be exhausted, and that the military option is on the table as a last resort, they can’t help but notice that he repeatedly and consistently promised that under Obamacare Americans who like their current physicians and existing health plans would be able to keep them. Notwithstanding the Netanyahu-led critics, sober and respected voices in Israel maintain that, all things considered, the Iran deal is a step in the right direction. Former Air Force general and former head of Israel’s Military Intelligence Directorate Amos Yadlin observed in a Nov. 24 conference call with journalists that “though we don’t like this agreement, it’s better than the alternative of no agreement.” Were there no deal, he noted, Iran would continue to produce highly enriched uranium. Isaac Ben-Israel, a retired general in the Israel Air Force who currently heads the Israel Space Agency, believes as Yadlin does that despite its limitations, the interim agreement advances Israel’s interest. In a Nov. 26 op-ed in the widely read Yediot Ahranot newspaper, Ben-Israel pointed out that for more than a year Iran has been “only three months” away from being able to produce sufficient highly enriched uranium to make a nuclear weapon. In his view, Iran did not move forward during this time and eventually was impelled to come to the negotiating table in Geneva because of several factors: close supervision of its nuclear facilities by the IAEA; the threat of a military strike by Israel or the United States or both; and the continued effects of severe sanctions, especially on the sale of oil. The temporary restrictions on enrichment that Iran has accepted, while considerably short of the complete halt to enrichment that Security Council resolutions demand, nevertheless push back the finish line by about a year, which puts an additional nine months between Iran and the building of a nuclear weapon. Netanyahu, in Ben-Israel’s judgment, should now focus on cooperating with the United States to ensure that the final agreement puts a distance of at least three years between Iran’s nuclear program and the building of a nuclear weapon. Despite the divergence of their initial assessments of the deal from that of Netanyahu, Yadlin and Ben-Israel agree with the prime minister that Israel cannot live with a nuclear Iran. Both pillars of Israel’s national security establishment have publicly stated that if the choice comes down to bombing Iran or allowing Iran to have a nuclear weapon, then despite the big risks and potentially high costs, Israel should take military action. Thus, their disagreement with Netanyahu’s initial assessment was significant but tactical, a matter of the role that the interim agreement plays in advancing Israel’s strategic interest, and how Israel might best take advantage of it. Judging by the calm and conciliatory tone that the prime minister adopted in his live address by satellite to the Saban Forum on Sunday morning, the prime minister has come a considerable way toward adopting Yadlin’s and Ben-Israel’s approach toward the agreement. 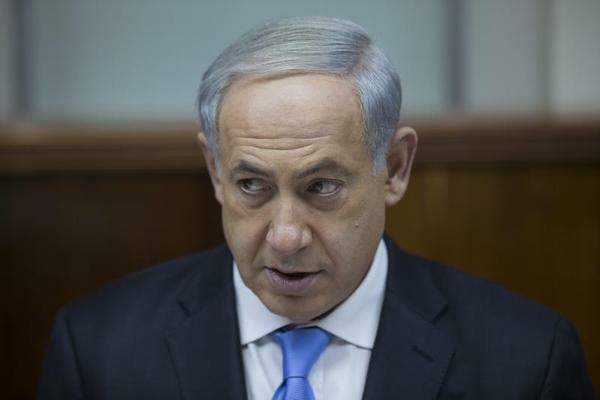 An underlying strategic difference may remain between Israel and the Obama administration. For the United States, the goal is to prevent Iran from building a nuclear weapon. That’s consistent with Iran retaining sufficient infrastructure and enriched uranium to build a weapon in a short period, say three to six months. The administration may believe that the United States has the intelligence capabilities and will to detect Iran’s taking final steps to building the bomb and the firepower to swoop in at the last moment and prevent Iran from going nuclear. Although Israel has less firepower than the U.S., it will not outsource ultimate responsibility for its defense to any nation, even its closest friend and ally; that is a cornerstone of its national security strategy. Moreover, Israel has vastly greater exposure to the Iranian threat. Thus, Israel’s goal is to prevent Iran from acquiring the capacity to build a nuclear weapon. That’s why Yadlin insists that the final agreement must involve the removal of all or almost all centrifuges and enriched uranium. And it is why Ben-Israel argues that the final agreement must leave Iran at least three years from being able to produce a nuclear weapon. Peter Berkowitz is a senior fellow at the Hoover Institution, Stanford University. His writings are posted at www.PeterBerkowitz.com and you can follow him on Twitter @BerkowitzPeter.